Calling All Victims of Miami-Dade County's "Pit Bull" Ban! 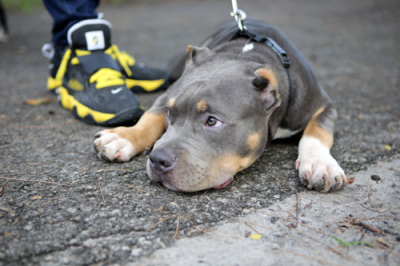 Have you been a victim of Miami-Dade County's "Pit Bull" ban???? Do you own a "pit bull" type dog? The truth is, based on the way Miami-Dade wrote the ordinance back in the late 80's, no one can really answer this question anymore. Anyone who has ever had a dog knows that they are more to us than just a dog....they are a valued member of the family. Unfortunately, Miami-Dade County decided back in the 80's that its citizens should only own specific types of dogs. They decided that just by looking at a dog, they could determine breed and temperament and whether or not they deserved to be loved or to be simply thrown away. This type of law is referred to as Breed Specific Legislation (BSL). The problem with BSL is that it has no basis in fact and only serves to discriminate against innocent animals based on how they look. Laws like these are reminiscent of any discriminatory law, they only hurt and do nothing to help the communities they are purporting to serve. ​Fortunately, the State of Florida saw a major flaw in that logic and in the early 90's forbid any other county or municipality from enacting any such laws based on breed. This has served to protect those who live in other counties, but it did nothing for those of us that live in Miami-Dade county as it "grandfathered" in the Ordinance. What that means is that the law in Miami-Dade is exempt from the state law and, therefore, still stands today. Countless citizens of Miami-Dade have been affected by this ignorant law and countless more will be until it is overturned. The Miami Coalition Against Breed Specific Legislation (MCABSL) and myself, as counsel, look to change this. We are calling on all of you to help. Have you been affected by this ban? Were you misplaced? Was your family member taken from you? Do you know someone who has been through this? If the answer to any of these questions is Yes.... we want to hear from you. Feel free to click the link and send us an email with your story and we will see what we can do to help you. Let's all work together to finally rid our citizens of this ignorant and harmful law!